NEW MUSIC E.P. 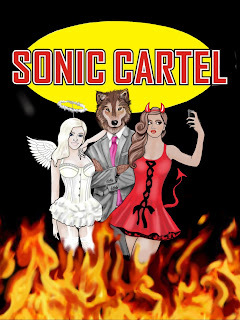 REVIEW - SONIC CARTEL - "SONIC CARTEL"
E.P. 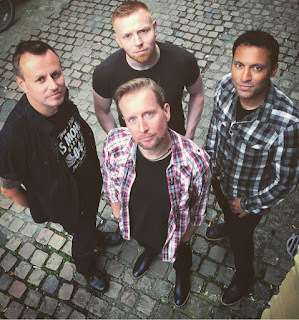 SUMMARY - This debut E.P. 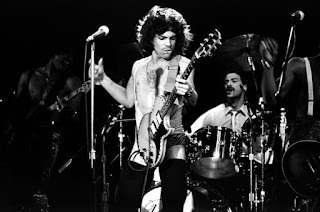 is a Classic Rock tour de force. Four tracks of guitar driven 70s and 80s Rock covering drama queens, politics, addiction and social acceptance with powerful gutsy vocals, brilliant song composition and riffs and heavy drums aplenty. “When you listen to Sonic Cartel, we want you to feel like you belong to something bigger than the individual – you’re part of a family, you’ve joined the Cartel!”. This is the band's statement and if this first offering is to go by they are going to take on the world by storm. A versatile mix of Classic Rock with some Funk and Punk! I defy you not to be part of the "family" after hearing this awesome set of tunes! 01 FIRES - If anyone has listened to the early Europe albums they will get the feel of Sonic Cartel. As a fan of the Swedish rockers I just love this E.P. 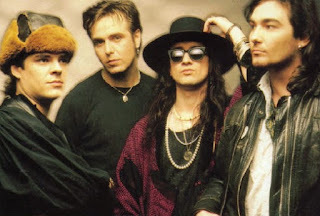 The first official song written by the band is a raw, live sounding rockfest complete with catchy chorus and singer Phil giving his best Joey Tempest vocal. The rocker slows down a little around 1 minute 40 only to kick up a notch into a frenzied searing guitar and pounding drum "fiery" finale. Phil sings "you're starting fires that are reaching out of control", about the drama queens who love the negative attention and questions whether loved ones should endure this behaviour. 02 POINT OF VIEW - This is Sonic Cartel waxing lyrical about politicans making promises but even if the people speak their views are not heard. "Nothing's changing, so what is the point of your view?". It's what we all feel and this track sums up everything that is uttered and heard around the United Kingdom at this present time and for many years past. "Are we ever gonna get through?". Maybe not but at least we have hope. The track reminds me of 80s Rainbow, the obligatory Rock riffs, picks and slowed down to a complete stop before blasting to a rousing finale. 03 CONSUMED - We are all addicted to something, some of us deny, some of us have serious addictions, some are minor. Whether it be almost harmless like mobiles, our favourite TV show or extreme like hard drugs and other serious criminal activity, Sonic Cartel tell us, "easy to take another hit, easy like every other trick". Its an addiction "because you can't stop, because you won't stop". True lyrics indeed and its something nobody likes to admit but surely everyone has an addiction of sorts. This Funk/Rock track is brilliantly similar to Red Hot Chili Peppers from start to finish and this is probably my favourite track off the E.P. This track certainly echoes the versatility of the band. 04 TELL ME WHAT YOU MEAN - Social acceptance is a curse for today's Internet generations. This song is about a father who is worried about his daughter's need to be with the "in crowd" at any cost. "Get up off your knees is a way to make them scream and shout, tell me what you mean when you tell me that its all worked out". Its a worry that young people today tend to sort out their own problems by maybe doing the wrong thing to be "liked" and "accepted" by people who don't really care about them. They don't speak to their parents about problems about being bullied for being different or "uncool" etc. This track pretty much sums up Sonic Cartel, kicking off like Blink 182, linking into Europe and Rainbow with a hint of Red Hot Chili Peppers! Look forward to the album guys!